One might question the significance of a newspaper on Tech’s campus. Literature, at a Tech school? Thought-provoking editorials? Encouragement of the arts? Unfathomable. Who could have thought of such blasphemy? The answer to that is Albert Blohm, the founder of the Technique. The paper was established in 1911 by Blohm, who was an adjunct professor for Tech’s six-member English Department along with Co-Editor-in-Chief, E A. Taylor, General Secretary of the Atlanta YMCA. Following its first full year of publication, the Technique was lauded for its ability to “keep alive the spirit of the fellows” and was “certainly the one best influence here for developing a spirit of loyalty and unity,” according to the Blueprint, Tech’s yearbook. On Blohm’s personal life — he was one of 12 children of a Lutheran immigrant tailor from Luebeck, Germany, and was born in American Fork, Utah, before moving to Portland, Oregon. 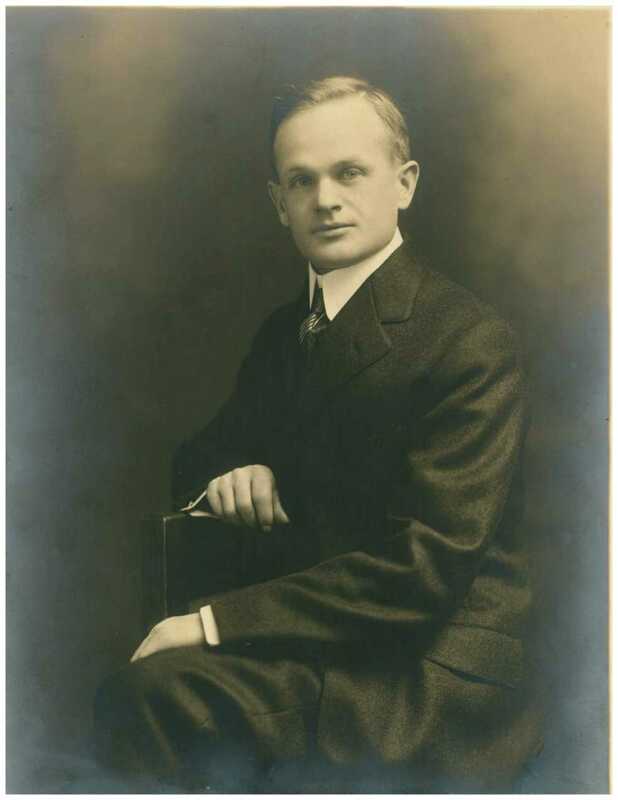 Graduating from Wabash College and receiving his MA in English from Columbia University, Blohm was the only one of his siblings to go East for higher education. Following Columbia, he started his tenure at Tech for a few eventful years then left to teach high school English in New England, where he met his wife, Helen Bradley Hewitt of the Cooper-Hewitt family, one summer on Martha’s Vineyard. Blohm spent the remainder of his career as head of the English department at Evander Childs High School in the Bronx in New York City, publishing writings on his thoughts on writing and education. According to the progression of events of Albert Blohm’s career — Blohm’s establishment of the Technique, his tenure at Tech, and his abrupt leave — it is likely that there may have been some drama involved in his departure. Upon his arrival at Tech, Blohm was ranked fourth among the English department faculty, and first among adjunct professors. This was during the time that the Technique was being established, in 1911. As he integrated himself into the English department, Blohm proved himself to be an advocate of clear thinking over grammar and spelling in teaching English, and thus expected that all faculty make an effort to teach in this manner. Blohm even had students use written assignments for other subjects as English composition assignments, to emphasize the importance of writing and communication across all fields. Through this manifesto, he proposed rules within the English Department, including a closer relationship between departments at Tech, combining students’ compositions in his or her field with compositions for the English Department and pinpointing students’ faults in thought and expression, ensuring that oral recitations are delivered logically and accurately. He described the state of Tech as having a “lack of cooperation between the various departments of our school and a great consequent waste of time and energy and lack of efficiency,” asking for support from every instructor in the school. It is likely that some of the English department were, at the time, not convinced of the effectiveness of this approach and may have felt as though it was not Blohm’s place to impose such measures. Hoping for a promotion, Blohm was met with the opposite response. In 1912, President Matheson, the president of Tech’s English department at the time, overruled and trivialized the manifesto as another attempt at intercommunication between departments at Tech. Shortly after, Albert Blohm was demoted to fifth-rank in the English department and left Tech at the end of that academic year in 1913. While his methods were met with harsh criticism and an unwillingness to change at the time, Blohm was likely the creative spark for effective communication, not only within the English department, but also across campus, leaving his mark at Tech with the Technique. Inspired by professor of philosophy John Dewey, who was an instructor at Columbia at the time, Blohm’s ideas on the importance of writing may have stemmed from his time studying at Columbia. Dewey’s teachings were based on the role of education as a means of not just conveying knowledge, but to further students’ imaginative ability. Albert Blohm wrote “Mental Hygiene,” a seminar in which he spoke about the importance of not only the knowledge of subject matter but also an intelligence of how to think and express oneself, arguing against perfectionism and nit-picky details and advocating for the development of a student’s personality. What set Blohm apart from the other professors in Tech’s English Department at the time was his innovative spirit in combining academics with practical and social interests, constantly reminding the campus community of not only the importance of writing and communication but also its application in society.